Milled Aluminum Side Air Intake Vent Grille for a Land Rover Defender 300Tdi, Td5, or Puma 90 / 110 / 130 (all aforementioned are interchangeable…but sorry, will not fit 200Tdi - please see our other listing for this version). It is a replacement for the genuine part # BTR6188, which sells for upwards of $50-65 (plus shipping) for the cheap, plastic, factory side intake vent that can weather, crack, and break over time (particularly the small retaining pins that hold the vent in place). 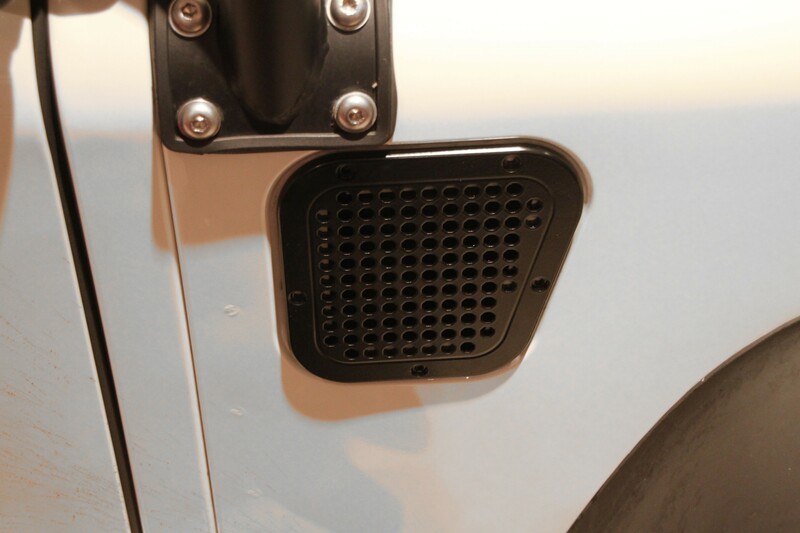 This vent offered here is a great upgrade, and not only dresses up your Defender but is exceptionally more durable than the cheap plastic vent. 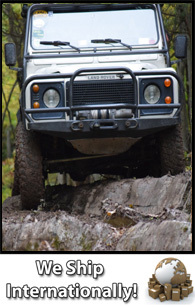 Milled from 1/4" thick solid aluminum and powdercoated in satin/semigloss black, they are guaranteed to withstand the test of time, elements, and whatever you can throw at your Land Rover.